The recent closure of a sardine canning factory has brought Gouldsboro, a small coastal town in Maine, to a total standstill. Made up of mostly 70-year olds, the laid off residents of the town are eager to get back to work. 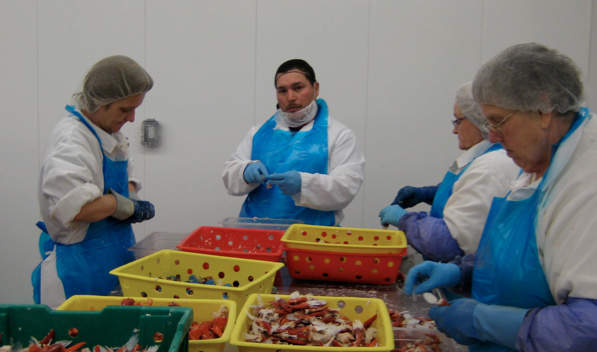 So when Italian immigrant Antoniio Bussone arrives from Boston looking to open a new lobster processing plant, most of the local labor welcomes him with open arms. The film Downeast is about finding hope, a man who’s willing to risk it all to succeed, and a generation that still gives a 110%. Directed by David Redmon & Ashley Sabin. The film screens at the Independent Film Festival of Boston, Sunday, April 29th, at 12:15pm. Tickets are available at iffboston.org.